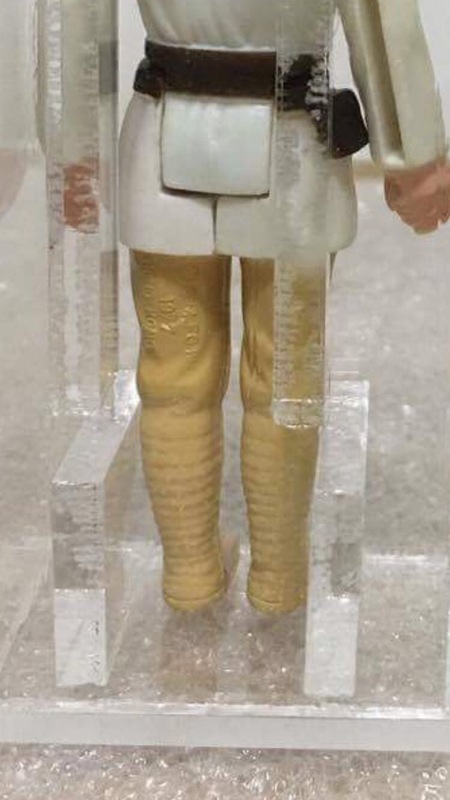 Possible fake hollow cheek tusken raider? The first shot is pre production, NO production piece has those horns you can not use that for comparison. Bryan pointed out the no coo version. In picture 4. Can I ask why you thought the DT luke was a fake? Was there a other thread where this was dicussed? 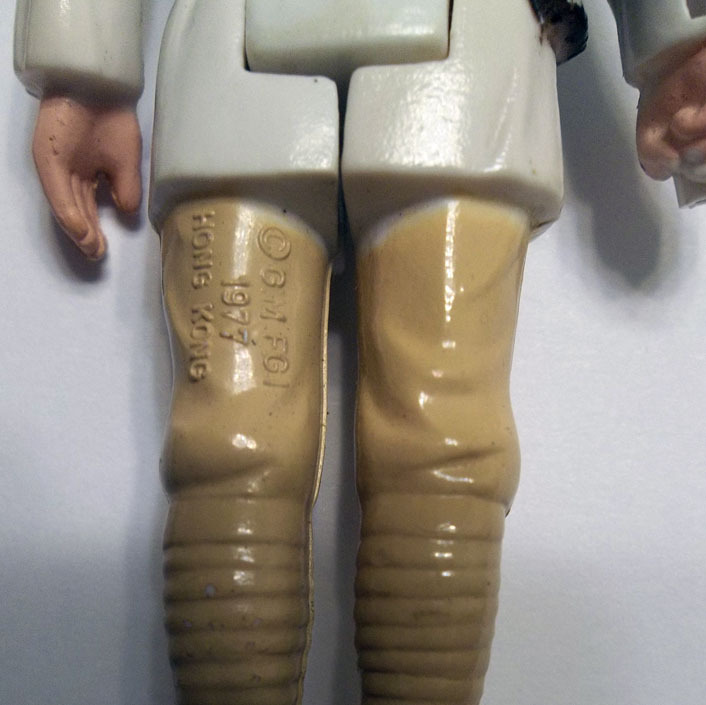 1)The dt luke has two gaping holes in his leg. I have seen many many loose figures with loose limbs, faded Colour , even headless. I have never seen this kinda damage on the figure, it has to be an impact damage, or puncture with a very sharp instrument or pliers. 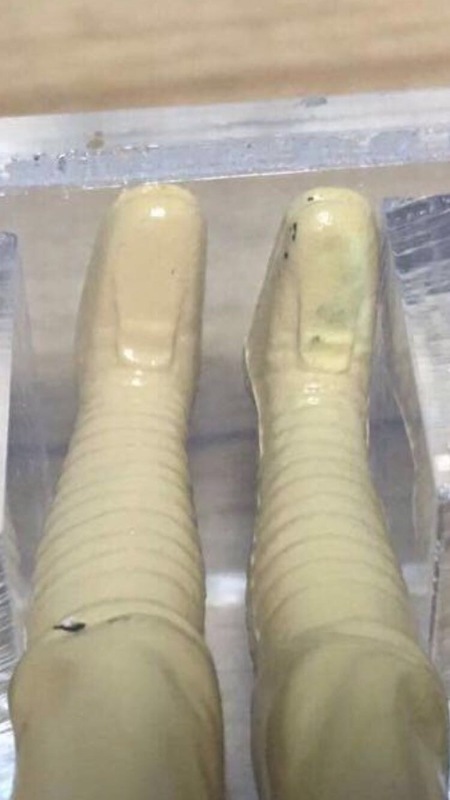 2) the pants are much more shiny and glossy than any other.3) paint touch up to right foot.4) the biggest telling sign was that the case is in prestine condition. No scratch whatsoever. 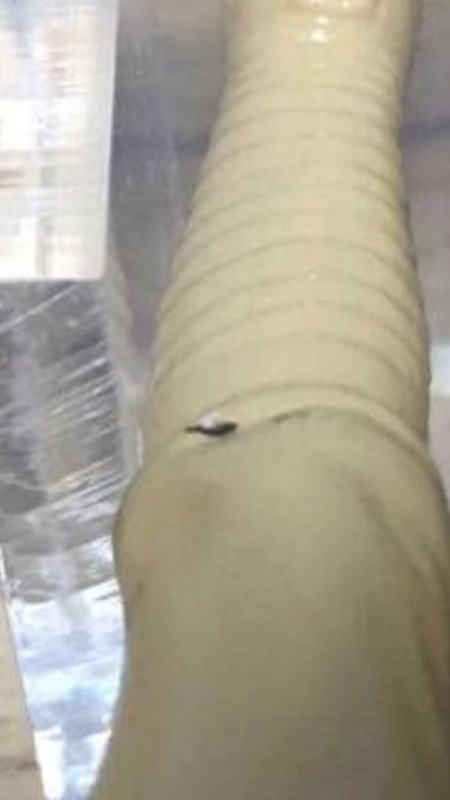 Afa said it was damaged after it was cased as they prob will not admit that their cases are so easily faked. There are 5 custom case makers in Singapore who can make decals also. 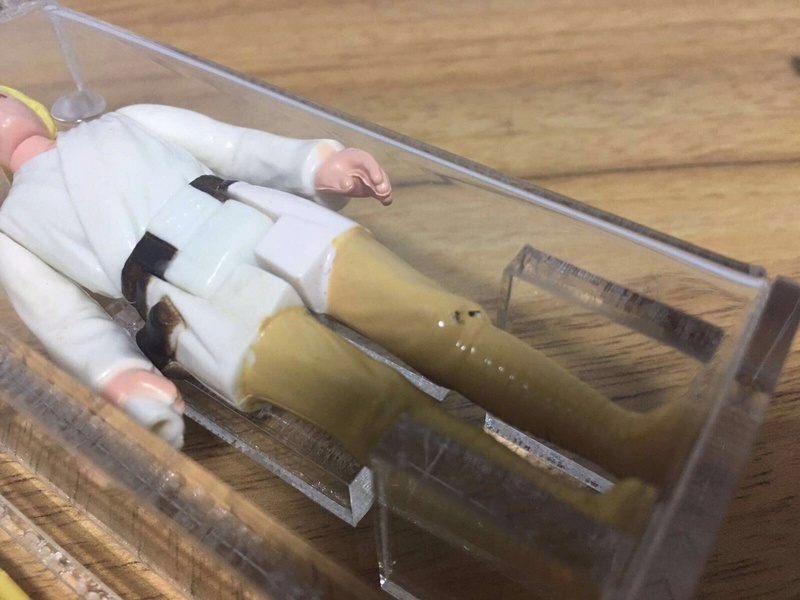 I even showed the figure to my 25 year old Sister who is not into toys, first thing she pointed out was how come there are two holes in the figure. How can this be graded 85? No matter how much we distrust afa's grading, as normal human beings, the holes are very apparent. This is surely a case of fogery. 5) the inner sabre is much brighter than the outer one. This can be explained though. But it contributes to my theory that this is guaranteed fake. I believe it's the correct 3 line coo. The maker prob can't find an early bird 2 line coo so he paired it up with This 3 line coo. The outer sabre is lettered "HH". the inner saber could be a fake. I believe the seller had a legit outer sabre with no inner sabre. 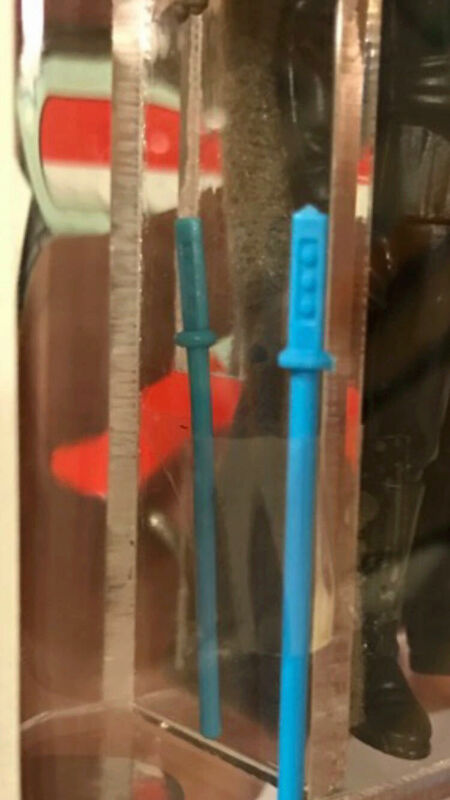 He paired it up with a repro inner sabre, found a luke to be paired it up with, and got it cases in a fake afa case with a fake afa sticker (he copied the serial number off a real dt luke). 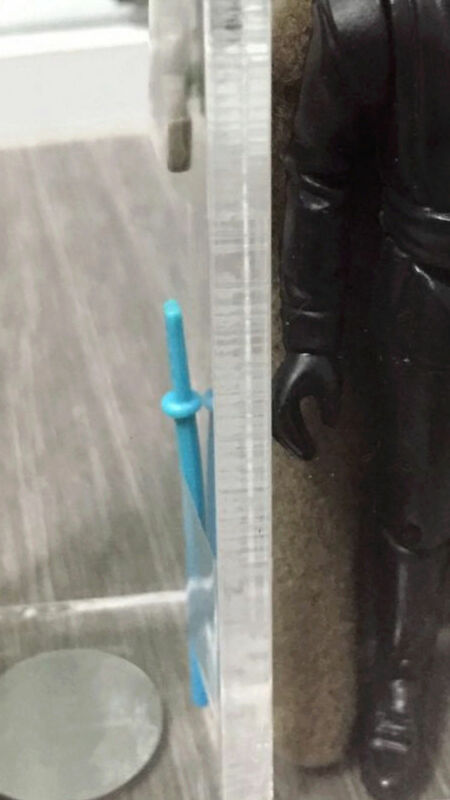 The 'dents/holes' line up height wise with the square acrylic leg positioning piece(which has a sharp square corner), figure is graded BEFORE being encased (in theory all DTs are done by Tom Derby). 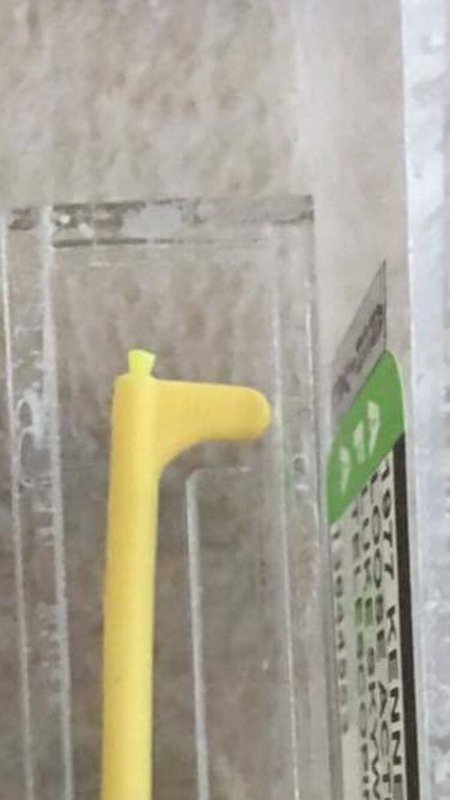 The acrylic worker may have damaged it when they made the box. Inner & outer saber colour is often different. Lili ledy Removable head snaggletooth? I have read a great number of the threads by markseowlichang and while I applaud his stance on repro and his willingness to destroy any reproduction weapon that he has come across, i believe there is a wrong way and a right way to go about tackling it. Firstly let me say, I am not interested in buying reproductions for my figures, recently have started destroying all obvious reproductions I stumble across and retain all recent repros that have been expertly produced as a reference guide so I can avoid them in the future. If I have been missold one by a seller I return it in order to get my money back. Thankfully because of the helpful information provided on a number of sites including TIG and by asking the right questions before purchase this is far and few between. Everyone has a different opinion on reproductions. For the most part and particularly on the forums people detest them. They have a negative impact on the collecting community as a whole making it extremely difficult to collect with 100% certainty. However, we must remember that there are some members of our community, old and young collectors alike, that are not as well off, who love the Star Wars Trilogy and toy line and who want to collect the figures, but who can not afford to buy a blue black Princess blaster for £60, a solid black Endor blaster or imperial blaster for £100, a pop-up Lightsaber for £200 or for that matter an original Yak Face for £300 - and for them the reproduction serves a valuable purpose. Who are we to deny them that right? What we really need to do as a collecting community is stand up to the real problem, which is I believe is the people who are knowingly trying to pass off modern reproductions as originals. And I am referring to people like lingardpaul who has been selling hundreds of Millennium Falcon arms and balls as originals; paulgildin-6 who was responsible for a recent large batch of near perfect Princess Leia reproduction pistols flooding the market and joggers78 who is currently doing the same thing with Princess Leia, Jawa and Imperial Blasters. If we all report them as a community we will be playing our part. Destroying reproductions if you have no use for them is the morally correct thing to do, but I believe reproductions themselves are not the real evil here, the real crime is deliberately selling a reproduction as an original or for that matter knowingly selling a reproduction weapon or accessory without specifying if it is original or not. What sellers should do if they are unable to validate with 100% certainty if it is an original or not (through having owned it from childhood or having the experience to determine it from years of collecting or from the websites available) is to be honest and admit they can not confirm it's originality. And as buyers we should make sure we ask all the right questions and if someone is unwilling or unable to provide the information, stay away from that seller. Then eBay, Facebook and the forums would be a much safer place. However, the wanton destruction of a number of figures without taking the time to establish with 100% certainty whether they were 100% fake or not is drastic and irresponsible. 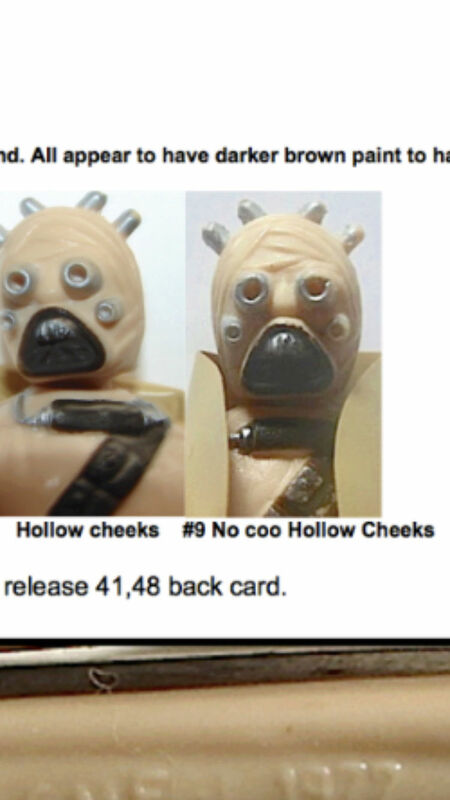 If every one was as gung ho we could be talking about some of the rarest SW items such as the Hollow Cheeks Tusken Raider and Double Telescoping Luke Farmboys being consigned to history forever. Also, by destroying it and not forwarding it to TIG we are missing the opportunity to catalogue reproductions and gain valuable insight for the future. Furthermore, it is hard to understand the destruction of the Rancor Keeper's Vibroblade and the Zuckuss Rifle based solely on a failed drop test. The drop test is one of the hardest tests to carry out effectively if you are an experienced collector let alone an inexperienced one. The tests outlined on the TIG site need to be carried out in conjunction with one another and by far and away the most effective tests are carried out by visually and physically examining them, and can only become truly proficient with years of experience. By destroying repros based on the drop test only we are consigning possible originals to the scrap heap and confounding the problem by increasing the scarcity of genuine weapons and increasing the demand for reproduction items. I read many of the threads and found myself thinking if only there had been a little less haste, a little more research and respect for the hobby. Time and time again in these threads it has felt like the expertise of members like trappedtexan, DarthBerizing and aussiejames have been ignored and overlooked. Buying first and asking questions later, coupled with rash behaviour has resulted in the destruction of priceless SW artefacts and sellers names have been questioned unfairly and unnecessarily. Wanting to rid the world of Repro is applaudable but there's a right way and a wrong way to go about it, less we destroy the thing we all love. My comment was actually ment tot be sarcastic , while i understand the hate for repros i do not have these feelings myself . There are several reproduction items in my collection , they serve their purpose and i would probably have tried to make them myself if they had not been available online . Everybody should help to play their part. Spot a repro, destroy it immediately so that it will never appear again in your collection and any other people's collection. That is why we have the IG website in the first place. 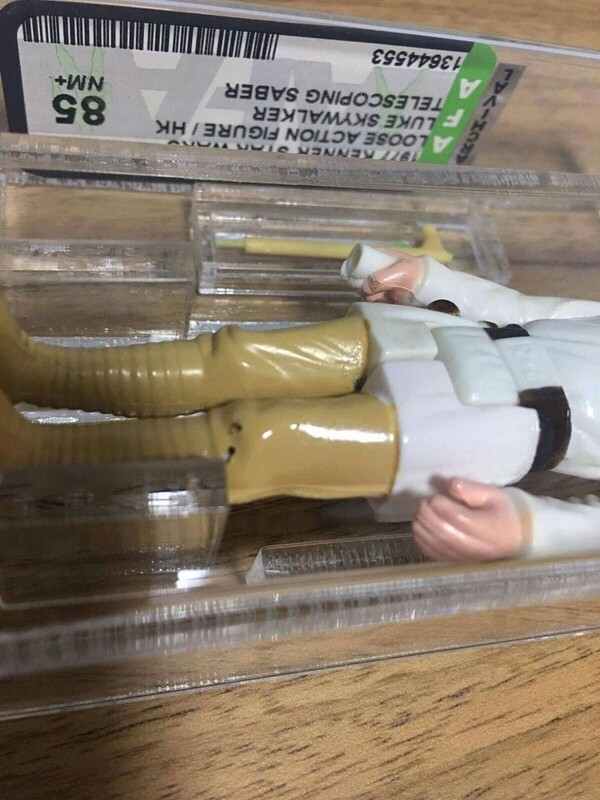 If we keep letting repro weapons or fake figures through our fingers... our future generations will give up on collecting because very soon their will be fake carded figures.. fake afa grade figures. People don't want to get their hands dirty as they do not know what is real anymore. While we still can.. let's all do our part in destroying repros, and fake figures! What i don't understand is destroying a possibly fake item based on less than three days of "research" and the confirmation of one guy on the internet who believes it is a custom . 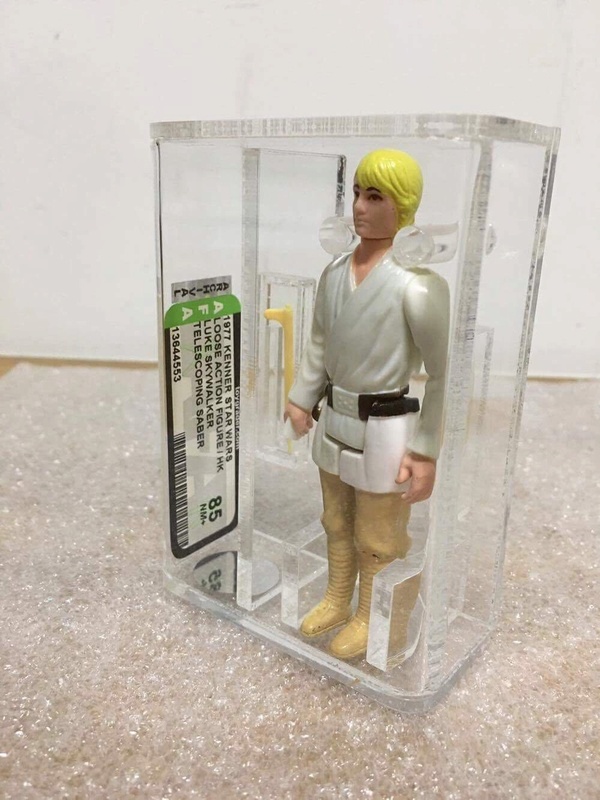 Or in case of the Luke saying it can't be real because i have not found a picture of simular damage after seven months of collecting . If you truly believe you have fake AFA graded items and you want to protect the community of is your duty tot try to find evidence for your suspicions by reaching out to as many parts of the community as possible , forums , facebook groups and grading companys . If may take a lot of time effort and most of all patience but if you have the clone and you can find the collector who has the original you can start comparing them in an attempt to avoid other collectors getting scammed . I'm nog trying tot be mean of hatefull towards you , i understand the frustration of getting scammed but in this case fear and anger may have led you to the dark side . You have a very nice collection and you show great passion and enthusiasm. All the weapons I have destroyed were either painted or wrong Colour, and can be verified by repro examples in IG. The tusken raider, am not 100 percent sure as I have posted photos of solid cheeks tuskens with Wide angled sprongs, which lead me to believe that there are perhaps hollow cheek tuskens with acute angled sprongs. 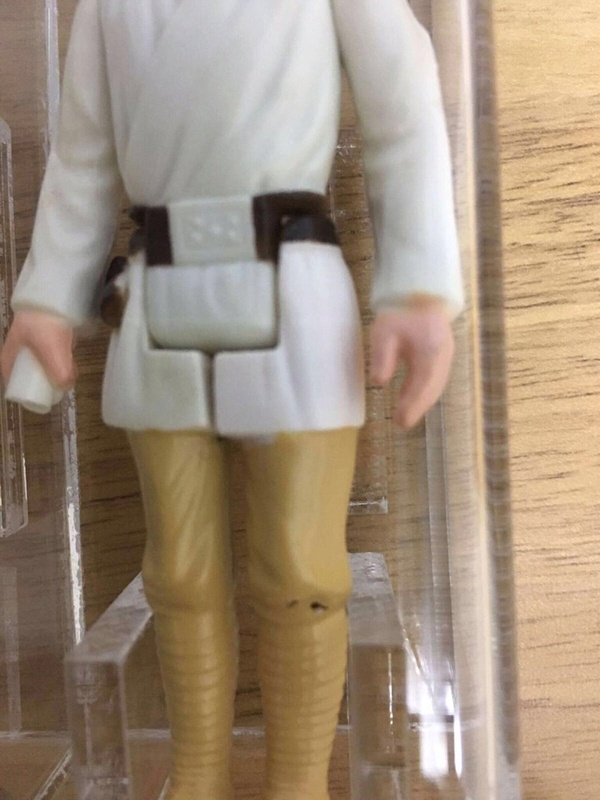 The DT luke... besides that two holes on the leg, the pants is painted with a thick shiny varnish which am sure NO lukes are like this. 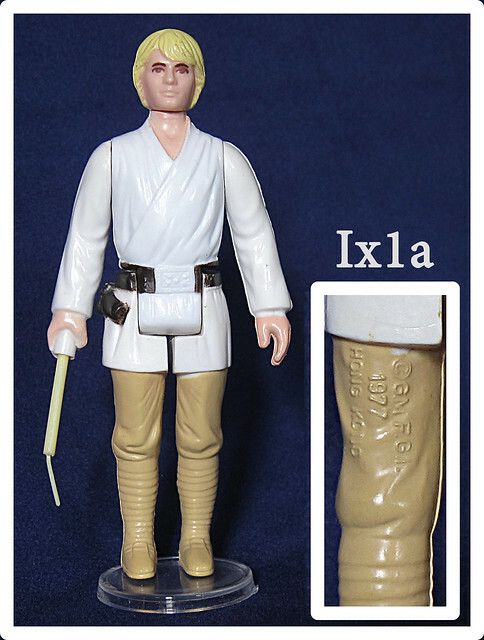 There are so many focus luke experts on this forum and I challenge ANY luke expert to show me a glossy pants luke. Those pictures are Nowhere as glossy as the sample I destroyed. It's so shiny you can see it gleeming. The pointy bits on the top of the head can be called PRONGS , sprongs are outdoor cooking utensils that combine the functions of a spoon a fork and tongs . As for the Luke , pictures are just pictures and very subjective to conditions and equipment used. Nothing beats side by side comparison but that is impossible now the figure no longer exists. BTW there' are even collectors that use products like armor all to give their figures a nice shiny finish . 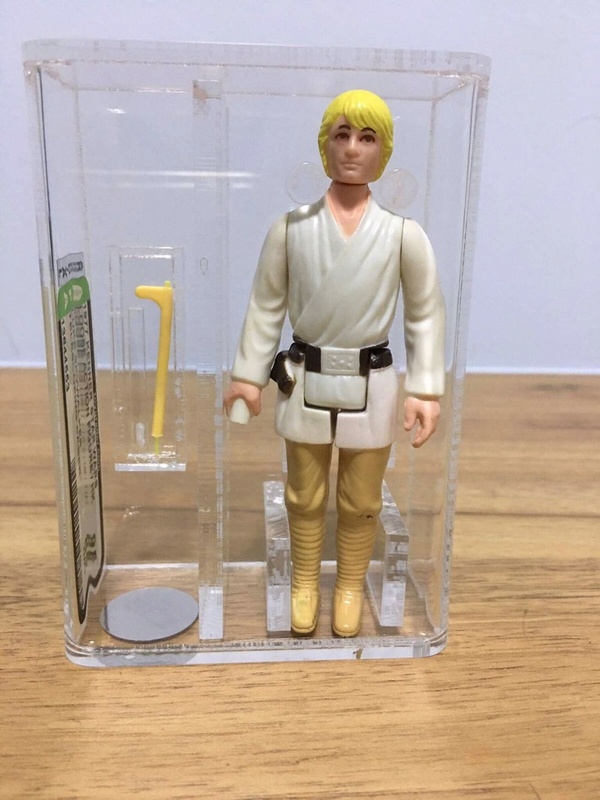 Are there any new pictures of the Luke & saber now that it has been removed from the case? 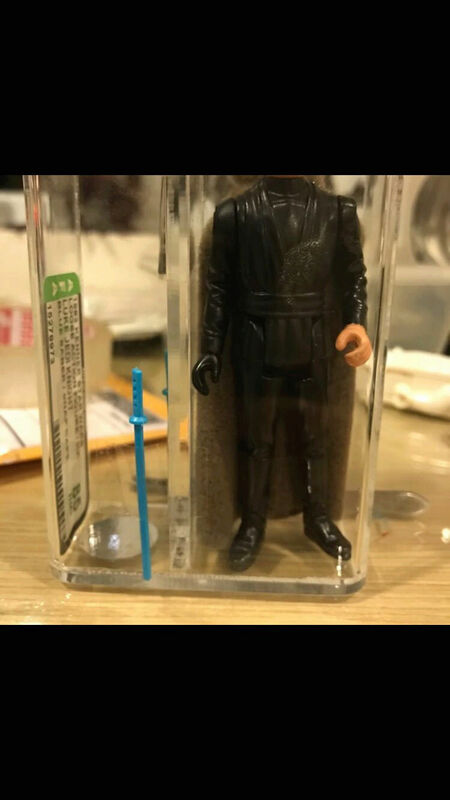 I have asked about this item on facebook, there are suspicions the bottom of the case has been tampered with, figure & inner saber replaced. 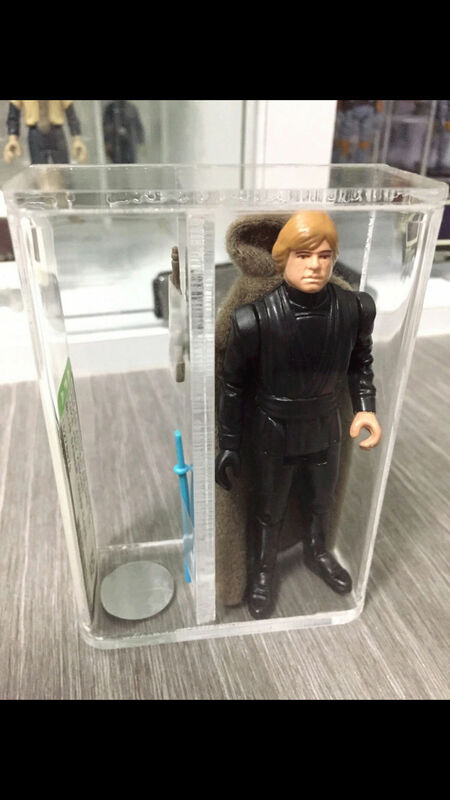 I don't think the figure can be removed through just the opening in the bottom. 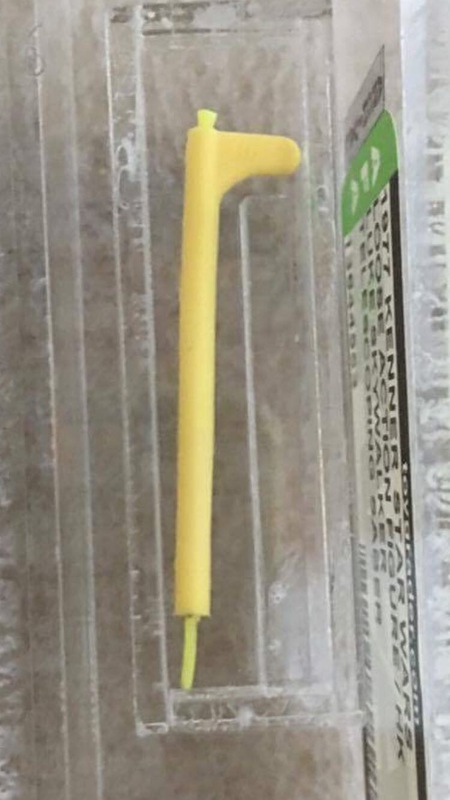 The neck pegs would not allow the head to pass through. 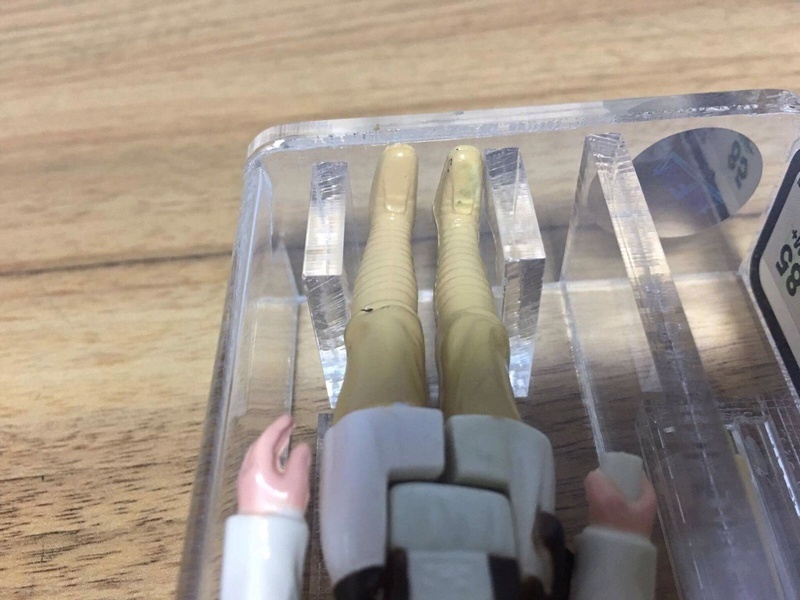 the whole case is likely to be customized. The seller might attempt to reuse the same serial number in the future, or take other serial numbers of real dt lukes... I suspect he might have a whole stash of HH outer Sabres. We never know, even the outer sabre could be faked. Just need to mould some letters onto a hilt. I am not sure I want to know if you kept the outer saber? Outer sabre and inner sabre were cut up, then burnt over my stove. It all begins to make sense now, what James said. The custom maker was probably not well versed in making the cases, unlike afa makers who do it Everyday. 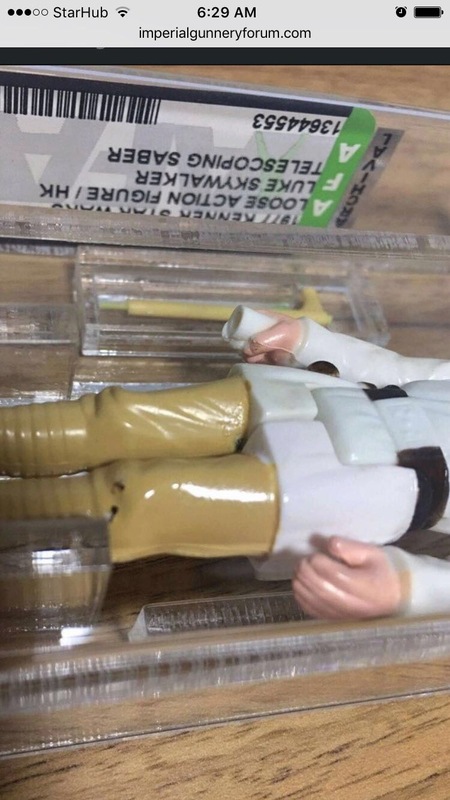 As such,he probably accidentally punctured the two holes on the leg while casing the figure up. That explains everything!! 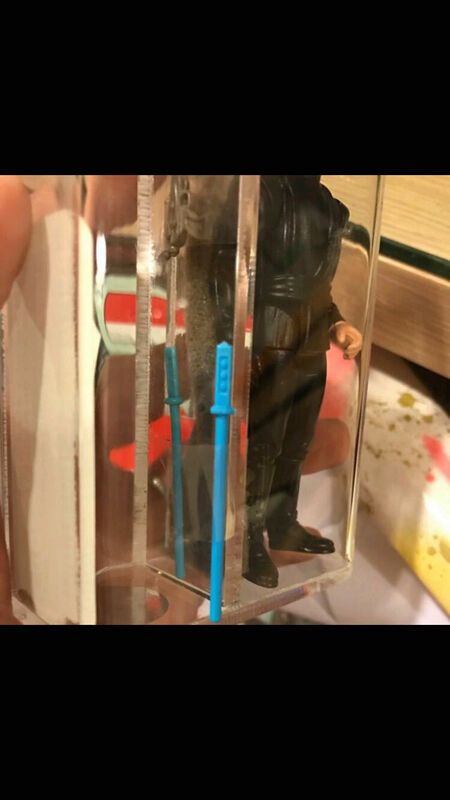 The same seller sold me a afa loose blue sabre luke jedi with a donut shaped hilt guard, claiming it to be real. I found out later it was totally fake. This case might be fake also. In this instance I resorted to something less drastic- I purchased a genuine one and pasted it outside the case. 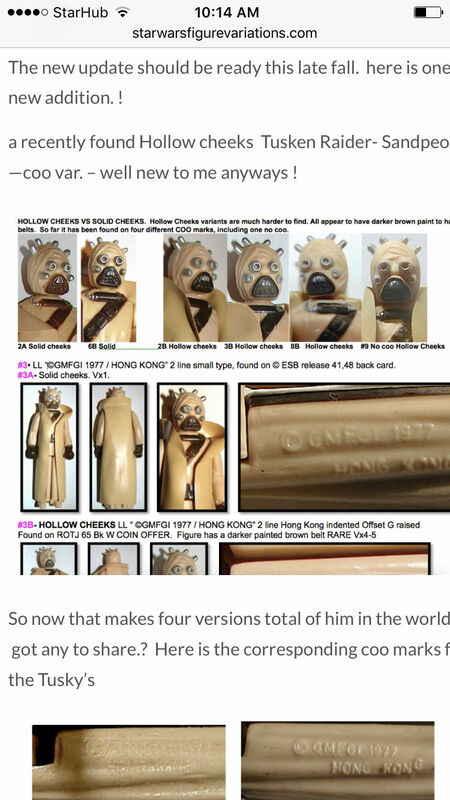 Subject: Re: Possible fake hollow cheek tusken raider? » Deadwood carving help please.